Watch the wonderful book trailer of this book on Youtoube. 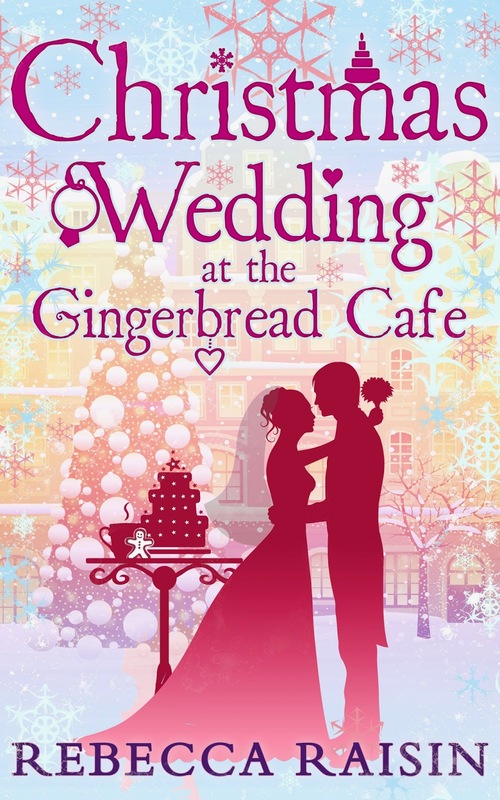 Buy your copy of Christmas Wedding At The Gingerbread Café! Thanks for inviting me here today, Isabell! I’ve just released the third and final Gingerbread Café series book Christmas Wedding at the Gingerbread Café. It’s been a huge year for my character, Lil and CeeCee and there’s plenty more in store for them in this book! Can Lil deal with the obstacles in her path and marry the man of her dreams? That remains to be seen! 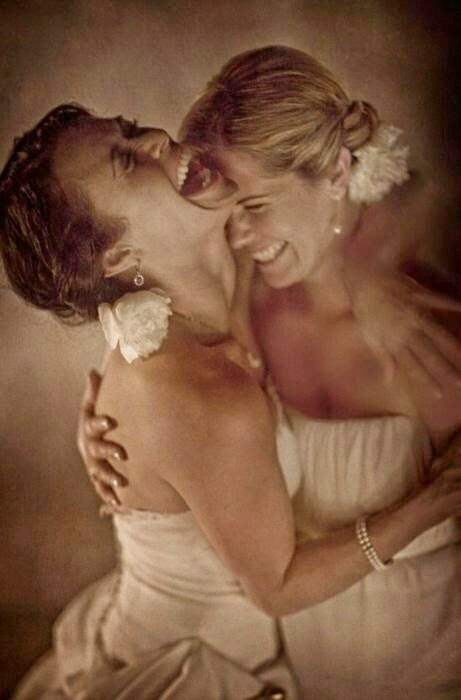 But when picturing Lil’s wedding this is how I imagined it! Firstly, the wedding date is Christmas Eve, exactly a year to the day that Lil and Damon first kissed! 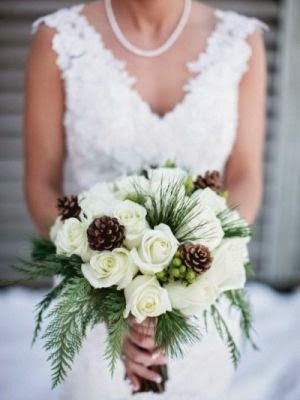 Lil’s a huge fan of Christmas and the idea of a winter wonderland wedding appealed to her. 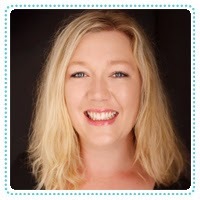 Lil has asked Missy and Sarah to be her bridesmaids, and CeeCee to be her matron of honour. She’s bought them a similar gift to this picture. 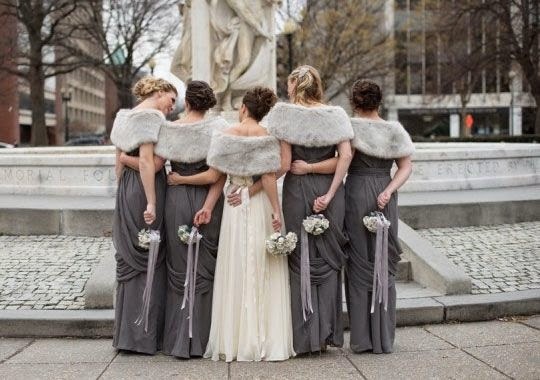 The bridesmaid’s dresses I imagined to be this kind of colour, complete with the faux fur stoles. 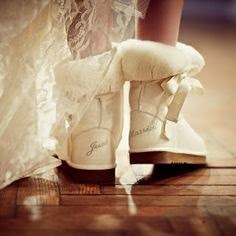 The girls are such great friends I imagine them buying practical Lil and present that she’d actually use, and since it’s snowing over there, I thought these uggs would be a really sweet present for the pre-wedding morning! For Lil’s dress, there was a bit of talk about what style would suit her in The Bookshop on the Corner, when Sarah took a bunch of vintage 40s style wedding magazines to her house. 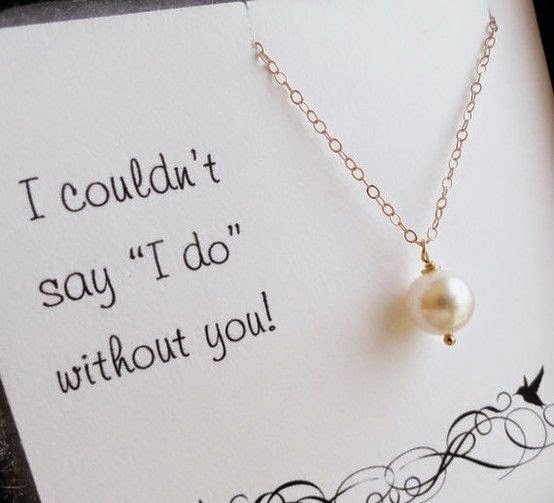 Lil’s not fancy when it comes to clothing, but she wanted something stunning for her wedding, but simple and unfussy. I envisaged this 40s style satin dress, very sedate from the front with long sleeves…but the showstopper, the exposed back, that drapes into a cowl at the base of her spine. I haven’t been able to find a photo exactly the same, but this is kind of on the right track. For the bouquets I wanted something beautiful but with a hint of Christmas too. I think the pine cones sum up the weather, and the Christmassy feel, and the roses suit the colour theme well. There’s a scene in the book where Lil talks about all the tiny little touches she has planned over the last few months, that are simple yet have special meaning. 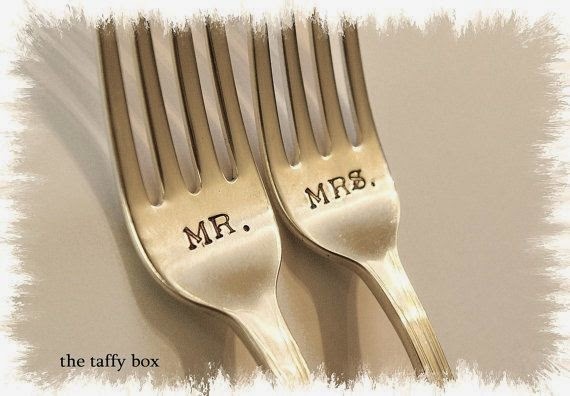 She ordered these knife and fork sets for her and Damon, since their businesses centre around food. 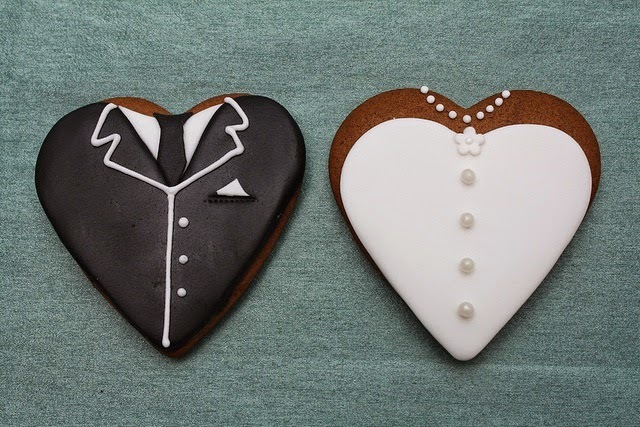 I found these gingerbread wedding favours on Pinterest and there’s nothing better than imaging Lil and CeeCee baking hundreds of these little cookies as gifts for their guests. They do specialise in gingerbread after all! 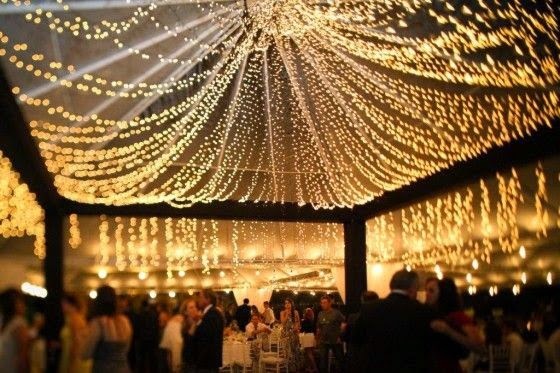 For their first dance, I pictured them standing under a ceiling so full of fairy lights it was almost magical. The rest of the room plunged into darkness as all eyes were on them as they danced to the song One thousand years by Christina Perri. Thanks for joining me for a quick slide show of what might be for Lil and Damon at Christmas Wedding at the Gingerbread Café! If you read it I hope you enjoy it and also wish the Lil, Damon and CeeCee well, as it’s their third and final story! They may pop into other books, but this is the final one that will be centred on the Gingerbread Café. Well, it’s meant to be! I miss them already! i have this to read and cant wait! I love this post and your selection!